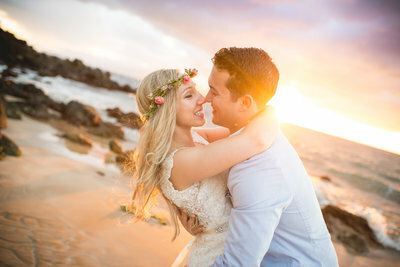 We had a blast with Karen and Paul at their Maui Beach Elopement! After meeting online 10 years ago, “before it was cool to meet online”, and being engaged for the last 4 years these two were more than ready to get married. In fact, they had a cruise planned to visit all the islands when Karen last minute suggested they get married on their trip! Now talk about fun! 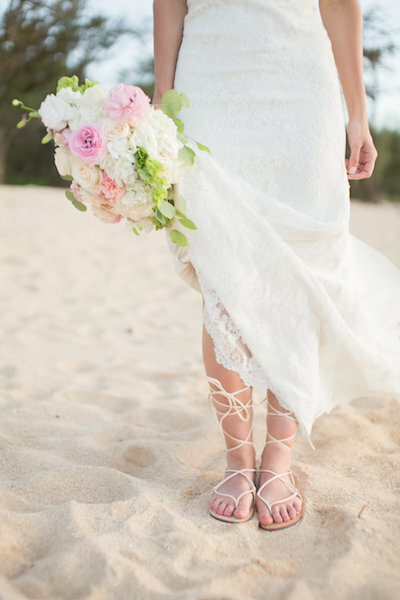 Karen and Paul could hardly contain their excitement at their Maui Beach Elopement. Which is just how we like it! The love and laughter in the air were so strong they were tangible. I mean just look at them together! If that isn’t the sight of true love, we don’t know what is. 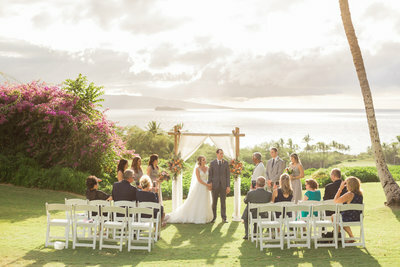 We thought it was especially fun when they pulled out sunglasses to wear during their ceremony so the Maui sun wouldn’t keep them from gazing into each other’s eyes. After kissing, “I do”, it was time for their first dance, so we played Simple Love Song by Anuhea for them off a phone because that’s their song! Seriously soooo cute! Once they complete their cruise these newlyweds are coming back to Maui to spend a couple days at the Four Seasons. Sounds like a wonderful start to a wonderful marriage! Thank you so much, Karen and Paul, for sharing your love story with Simple Maui Wedding and letting us help plan this perfect day. Congratulations and Warm Aloha!